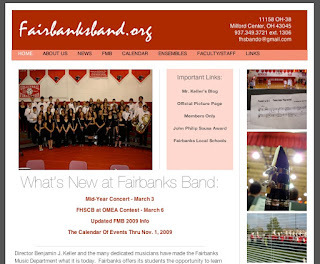 I know it's been awhile, but I've finally updated Fairbanksband.org with information on Tuesday's concert, next Friday's FHSCB contest, and FMB 2009 information. I've also tweaked the look just a little bit as well. Enjoy! 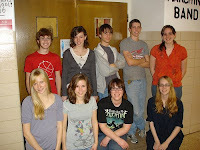 Tuesday, March 3, 2009, 7:00 P.M.
Be in Mrs. Keller’s room at 6:40 to warm up. After warm up, we’ll sing through each piece, then head to the gym. We are first on tonight’s program. After your performance, you may sit in the reserved seats or with your family. You need to be seated with your family and ready to watch the HS choir at 7:00. 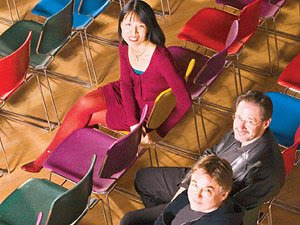 Immediately after their performance, go promptly to the performance area. We will warm up on stage. We will play Chorale 1 in the gym and then perform our program. After we are done, we’ll file out and you will sit in your seats with your family. 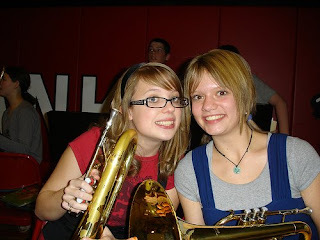 If you share instruments with a HS band member, they will be waiting for you in the corner to take your instrument. Do NOT go back to the band room. MC Escher has been hanging out in my band room. JHCB - Here are the recordings I made in today's rehearsal. Please note not only your performance but the sound of the entire group. Issues we need to deal with this week include uniformity of articulation, phrasing, and intonation on certain sections. Please listen and critically evaluate your performance. Pep band will warm at 6PM on Saturday, February 21. It's senior night, so seniors should dress appropriately (not necessarily dressy, but respectable) and make sure your write-up was sent to Mrs. Reed. Everyone should be ready to warm at 6, not coming in the building or the parking lot. Let's have a great last "hurrah!" I just booked Veteran's Auditorium in Marysville for our annual FHSCB@Vets concert. The date is on Friday, May 29 at 7pm. The rehearsal for this event with our guest conductor (who is yet to be confirmed) is on Thursday, May 28 from 2:3-4:30 P.M. FHSCB performers are required to attend both events, including seniors who are several days past graduation. I'm excited that our end-of-May schedule is not as hectic this year, with four performances in 10 days, instead of the four performances in 6 days like we have had to do the last several years. Please mark your calendars, ask off from work, wake the family, friends, and neighbors and spread the word about this wonderful annual event that showcases our outstanding Fairbanks musicians! Just a reminder that all music department events are on the Official Calendar of Events! 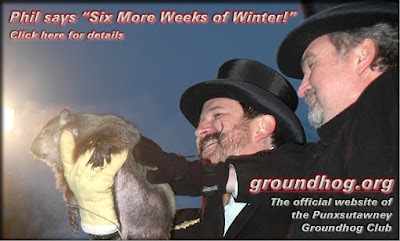 Okay...the good news is we got our Friday performance time on March 6. The bad news is our performance time is 4:30 - the first band in competition. The OTHER bad news is that our contest site is at Teays Valley High School, which over an hour away. Sadly, there is nothing I can do about this, so book the time and place. I'll have a detailed itinerary available ASAP. We will have to leave before the end of school on March 6. This is just a kindly reminder to students in my performing groups that 30% of your final grade is based on attendance at rehearsals and that each unexcused rehearsal deducts 5 points from that portion of your grade. Please remember that if you unexcused to school, you are also unexcused to rehearsal. I have had to penalize many students in the last week for being unexcused simply because they did not turn in a note to the office after their absence. Please take care of this simple housekeeping task to keep your grade up where it needs to be. Always remember that you need to "be here, or be excused" or your grade will suffer negative consequences. This is mostly a participation-based class, and if you do not participate for unexcused reasons, then I cannot give you full credit. If you are absent for an excused reason, PLEASE TURN YOUR NOTE INTO THE OFFICE WITHIN THREE DAYS OF YOUR ABSENCE. I will be available for walk-in conferences tonight from 3:30- 6:45 in the band room. I would be happy to speak with any parent of students in grades 5-12 about the progress of their child. If you KNOW you will be in the building and are planning on stopping in, please drop me a note and let me know about what time you will be by so I can plan accordingly. Thanks! Just a reminder that the pep band will NOT be playing at tonight's home game, but will instead be playing at Saturday's senior night. Rehearsal on Saturday begins at 6pm. The Fairbanks Music Boosters are conducting a monthly aluminum can collection to help raise money to support our fine Fairbanks musicians. The can collection will be held on the following dates at the FHS student parking lot from 9-11 AM. If you wish to make a donation but cannot come at these times, please call Kelly Moran at 614.873.6961 to make other arrangements. Thank you for your support! Pictures from Friday night's game have been posted on the official picture page. Thanks to my guest photographers for giving us yet another fresh perspective! We will warm at 6:30 SHARP tonight. Please be present and ready to play at 6:30 and not coming in the door or the parking lot. Thanks! In celebration of Abraham Lincoln's 200th birthday, I though I would share this article from NPR about Aaron Copland's fantastic piece, Lincoln Portrait. There's even a link to hear a performance of the piece by the President's Own U.S. Marine Band. 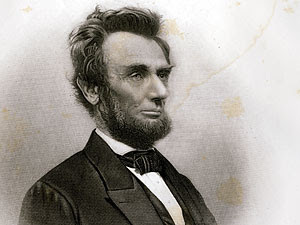 If you have not experienced Lincoln Portrait, now is a great time to have a listen. The monthly booster meeting will be tonight, 6pm, at Luckey's Grill in Marysville. You may know that Little Wayne and Alison Krauss may have cleaned up at last night's televised Grammy Awards, but do you know who won the Grammys for classical performances? There's a nice rundown of all the winners and even listening examples in this article on NPR. Hear what's cool and hip in the concert hall from John Corigliano, Elliot Carter, and even Igor Stravinsky. 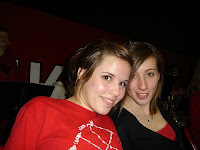 Pictures from Saturday's pep band game have been posted on the official picture page. Thanks to everyone for making it a great night and for cheering on the Panthers to a big win over the Wellington Acadmey...."whatevers." 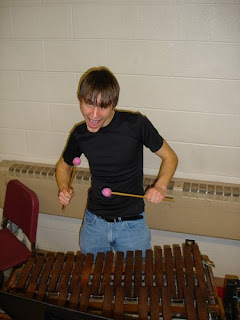 Michael especially added to the mood by tearing up on the Marimba. Congratulations to Melissa and Jordan! Congratulations to Melissa F. and Jordan S. for their performances at OMEA district 15 Solo and Ensemble contest this past weekend at Hilliard Darby High School. 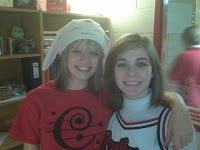 Both Jordan and Melissa received a "I" or "Superior" rating for their vocal solos. We are so proud of you both! Tonight's Game is a "Black Out" ! Apparently the FHS student section is staging a "black-out" for tonight's game, so if you have a choice in what school colors to wear, consider making it black tonight. Even though its not one of our school colors lol. "Black-out" just sounds so right, though. See you for rehearsal at 6pm. 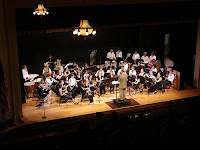 The music department's annual Mid-Year Concert will be held on Tuesday, March 3, 7 pm, in the high school gym. Performing groups will include the JHCB, HS Choir, and FHSCB. Attendance is required for all performers in these groups. The concert is free and open to the public. 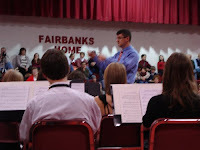 NOTE: I had originally planned for the 6th grade band to perform one piece on this concert, but due to lack of rehearsal time (due to weather and getting a late start on the music), the 6th grade band will perform three pieces on the Spring concert on May 19. We will continue to strengthen fundamentals of playing, as well as prepare our concert pieces. I promise it will be worth the wait. This one-semester course introduces students to the fundamentals of music theory, including, rhythmic notation, tonality, scales and modes, chord construction and analysis, part writing, and the basic terminology of the language of music. Students will also be introduced to aural theory, which is the ability to accurately sight-sing written music, and to transcribe performed music into written form. A basic understanding of music reading is preferred but not required. Students will complete a written theory project at the end of the first grading period, and an aural theory or creative project at the end of the second half of the class. Some of you have been inquiring about band camp dates for this Summer. It has been a dicey situation since the Union County Fair is one week later than normal, encompasing the week that we would normally have camp at Ohio Wesleyan University. Since that week at OWU is the usually the last week that summer camps can be held, I was between a rock and a hard place. Thanks to Mrs. Cooperider at OWU for aquiring special permission from the university to allow us to have camp at our regular post-fair time. We will be the only group on campus that week so we will have the dorm to ourselves, the dining hall to ourselves, and the facilities to ourselves. So you can book it! 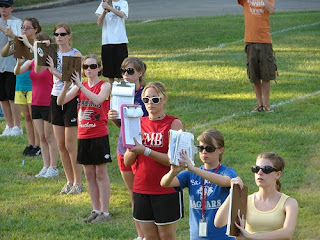 Band camp is August 2-7, 2009. The entire FMB calendar of events will be posted soon so you can schedule your events around our reasonable rehearsal and performance schedule. The athletic department has rescheduled senior night for Saturday, February 21. To accommodate this change, we will not play on the Tuesday, February 17 date as originally scheduled, but WILL play on Saturday, February 21 for senior night. Please change your schedules accordingly. Thanks! Any JHCB member who is interested in taking a solo to the March 29 OMEA Solo & Ensemble contest needs to contact me ASAP. I have room to coach 6-8 soloists for this event. 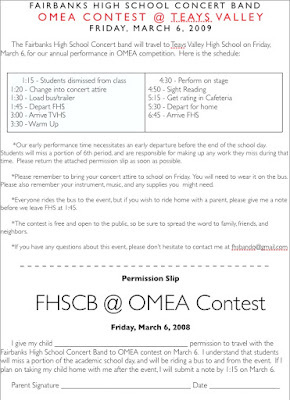 Students participating will need to meet with me 3-4 times between now and contest, must commit to performing in the event, will need to learn several scales and/or rudiments by memory, and provide their own transportation to and from the event, which will most likely be held in Hilliard. Soloists will need to practice their selection daily, and nearer the event, will need to practice with a piano accompanist as well. If you have any questions about this event, please contact me in person or via email. This is an excellent opportunity for you to learn much about yourself and improve your individual performance level.